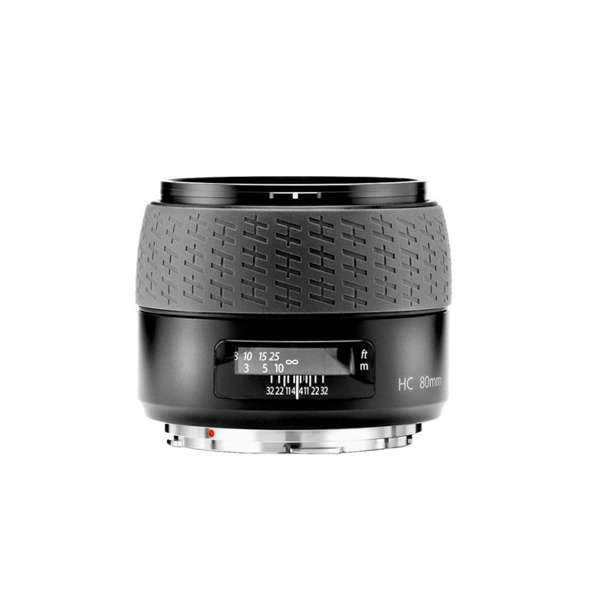 This specialized version of the Hasselblad HC 80mm f/2.8 Lens is a normal-length prime offering a 46° angle of view. Differing from the standard lens range, this lens features a secure locking mount to significantly reduce unwanted vibrations and flexing on the lens-camera interface, and the rigid mount also ensures the image and sensor planes remain perfectly parallel at all times. Additionally, this lens has a locked focus position at infinity as well as dedicated firmware to close the central shutter and aperture mechanism to their working positions when power is applied to the camera system. The lens employs a simple six elements in six groups optical design to deliver a high degree of sharpness with very low distortion. Additionally, the central shutter unit affords a shutter speed range up to 1/800 sec. Specialized aerial version of the HC 80mm f/2.8 lens features a robust locking mount to reduce vibrations and flex at the camera-lens interface, as well as maintain absolute parallelity between the image and sensor planes. This version also has a locked focus position at infinity and dedicated firmware to close the shutter and aperture mechanisms to their working positions when power is provided to the camera. Normal-length lens offers a 46° angle of view and features a six elements in six groups optical design that produces a flat image plane with very low distortion for clean, realistic image quality. Central shutter offers a shutter speed range up to 1/800 sec.